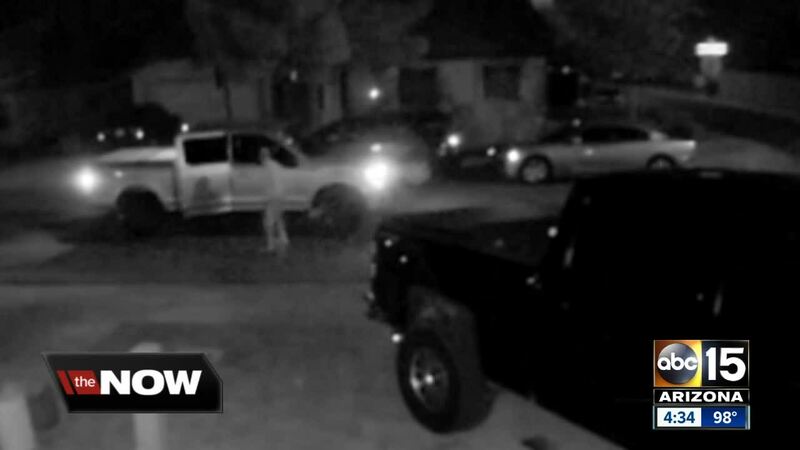 Over the last year, Gilbert has seen more than 400 reports of overnight car break-ins. “They just started hitting neighborhoods at will,” said Tim Evans, who was one of their unfortunate victims. Evans himself can be seen on surveillance camera chasing four young crooks out of his driveway back in April, when the group was caught in the act trying to steal from his truck. “People I don’t even know will be like, 'Did you see this? They broke into this truck over here, same MO, same descriptions,'” said Evans. The rash of incidents is not only contained to this East Valley community. Crooks have also been caught on cameras checking for unlocked doors and easy targets in Buckeye and Phoenix. “They’re gonna walk neighborhoods, they may park at the end where they can obviously see a number of houses, check a number of vehicles,” said Sgt. Darrell Krueger with Gilbert police. Krueger says his offices are now taking the same approach as the criminals. 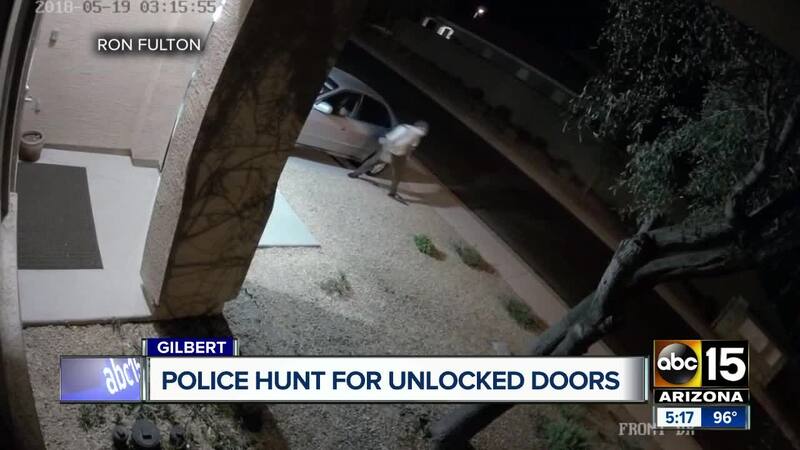 New video from a Gilbert home shows a man walk up to a car door the other night, only this time, it's a cop. He checks it, finds it open, and locks it. It’s part of a multi-layer effort to keep the community safe. “We’re encouraging officers as another prong of that to get out in those neighborhoods, contact people who have an open garage. If you see a dome light on in a vehicle -- is it open? Has someone been out there recently? Has somebody tried that car,” said Krueger. And while some may worry about police coming onto their property at night, others see the reasoning behind it and applaud the effort. “They get a bad name over some stuff, but you know what stuff like this is when you say thank you for stepping up because the more this went on the worse it would have got,” said Evans. Gilbert police are also using social media to remind its followers to perform lock-up procedures at night. Community members tell ABC15 their visual presence has been noticeable and appreciated.